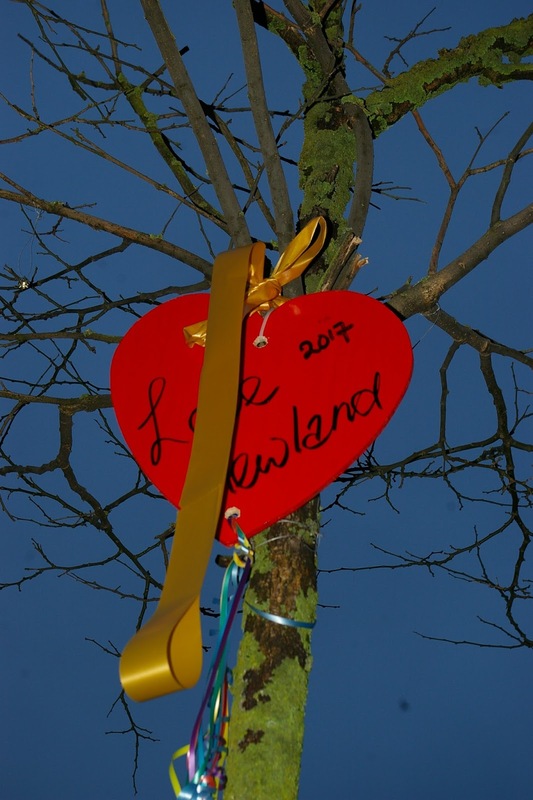 They’re a romantic lot on Newland Avenue so when Valentine’s Day looms they deck the trees with red hearts and ribbons. 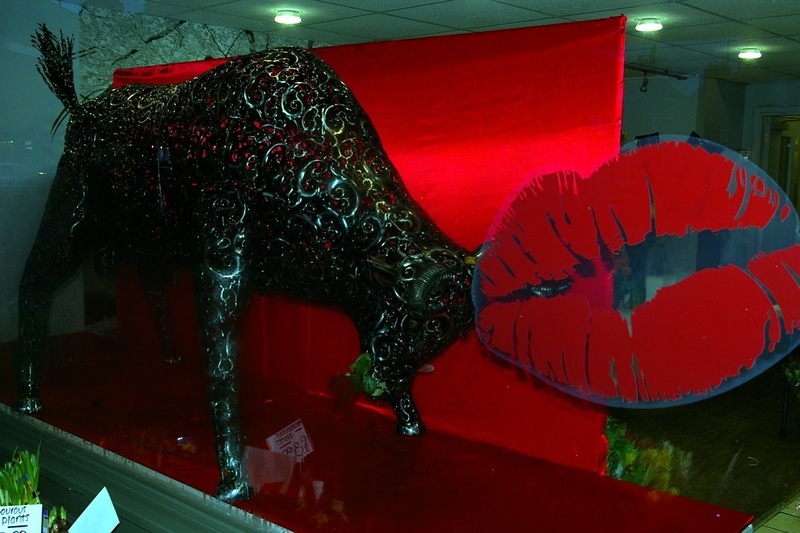 Oh and the florist, noted for its odd window displays, thinks that nothing says “I love you” quite so much as a large bull bearing a long stemmed rose. Must be something in the water. 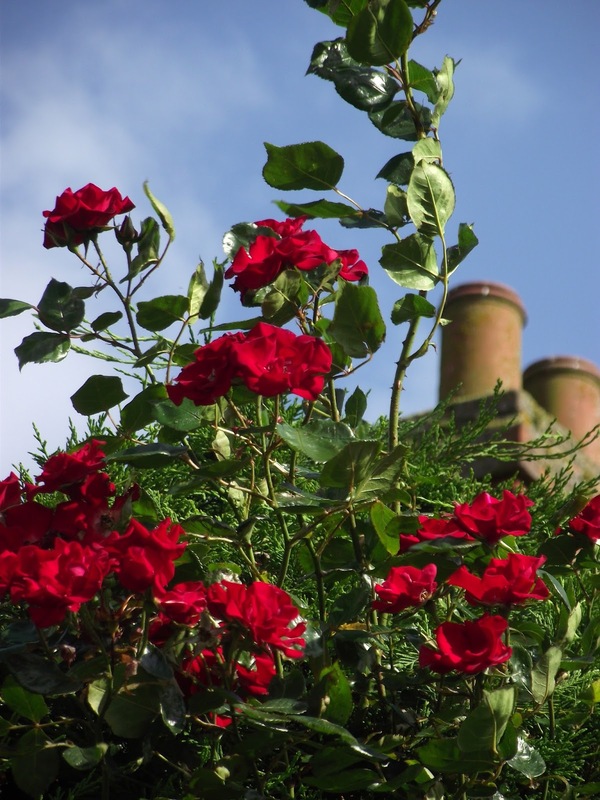 … the world keeps on twirling, the birds are still singing and the roses still blooming. Today is the annual Cottingham Day to which I shall no doubt go if I can dodge the heavy showers with the hint of thunder. This is, of course, high Summer in this green and pleasant land and we expect no better. 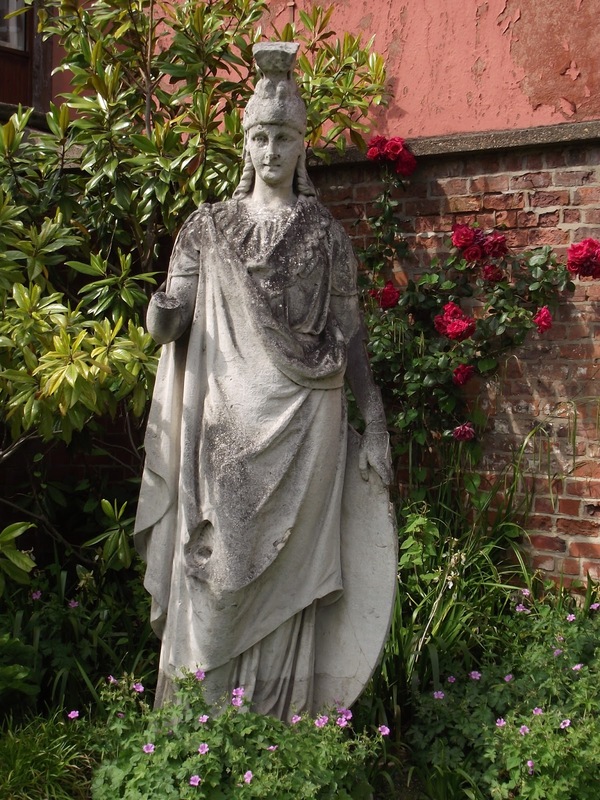 Tucked away in a corner of garden of the transport museum this ancient looking statue gives no indication as to its origins nor its subject matter. We have a lady minus a hand holding on to a shield and wearing a Greek-style helmet. Returning to our statue and if it is Minerva then she would have had a spear in her missing hand and would have looked a lot like this.